The last time I visited the Wild Center, it was on a hard-hat tour. Granted that was some time ago, but I don’t get back to Tupper Lake, NY that often, so I was thrilled when I was able to visit the finished facility last week. This Adirondack museum features snapshots of all the different environments, complete with animals and interactive exhibits. Of course, it’s great for kids who want to learn about the environment, but adults will also find it very entertaining too. After all, who can be tickled to see an aquarium full of lively back-flipping river otters? They also have a great movie about the migration of Monarch butterflies, and a nice trail around the pond just outside the main building. Top that off with a number of naturalist programs throughout the day, and you have the perfect road trip stop. And the access is great throughout the facility too. There is barrier-free access to all of the exhibits, and great care was taken to make sure they are all viewable to wheelchair-users. There is good access to the movie theater, witch boasts accessible seating with companion seats nearby. And the pond trail is wide, flat, level and totally accessible. All in all the Wild Center gets top ratings for both content and access. So don’t miss it on your next trek through the Adirondacks. And as an added bonus, tickets are good for two days, so save some time for a repeat visit the next day! 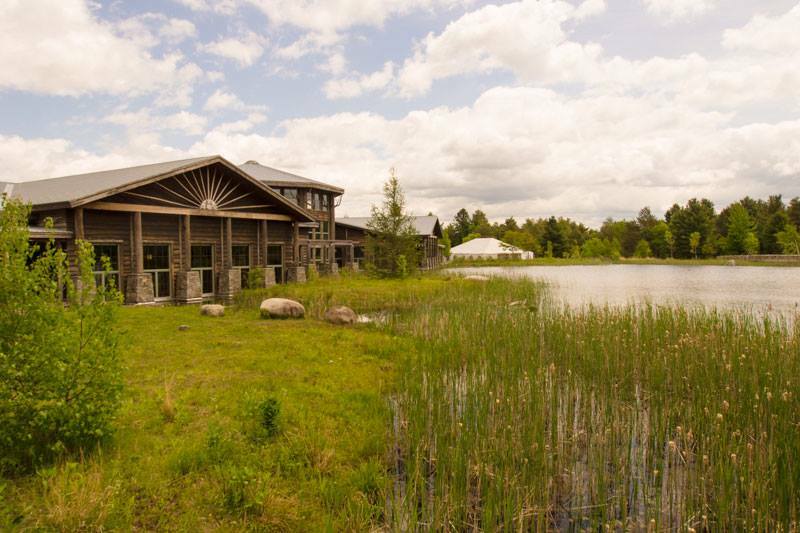 This entry was posted in Attractions, Road Trips and tagged Adirondacks, disabled travel, road trip, travel, Tupper Lake, Wheelchair Accessible, Wild Center by Candy B. Harrington. Bookmark the permalink.